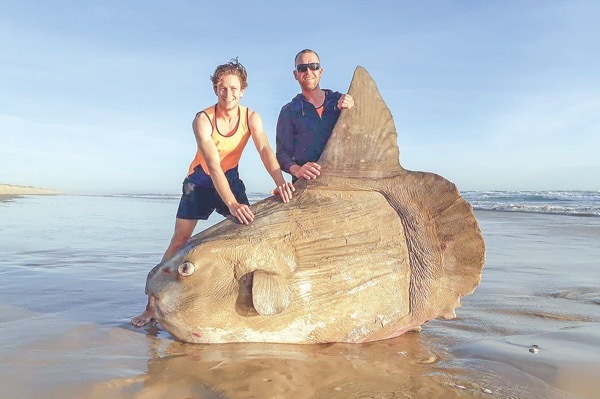 The 1.8 metre specimen – believed to be a Mola Mola, or ocean sunfish – came ashore near the mouth of the Murray River in South Australia at the weekend. The fish can weigh up to 2,200 kilogrammes according to National Geographic. “Never expected this.” South Australian Museum fish collection manager Ralph Foster said the fish was actually at the smaller end of the scale for the species. Boulder-sized sunfish washes ashore in Australia 0 out of 5 based on 0 ratings. 0 user reviews.